“iTunes has stopped working” Windows 7 can appear at any point when you’re installing, updating or utilizing iTunes. When this happens, you cannot access your favorite media files, play your songs, download your videos, watch TV shows or enjoy other multimedia contents. At this point, iTunes is useless to you or anyone else experiencing this issue. Nevertheless, you may be asking, “Is there a solution to this issue?” Yes, there are several helpful tips that can help you fix this error, and we shall be outlining them in this article. Missing files on iTunes library. Incompatibility error between the iTunes software and Windows 7. 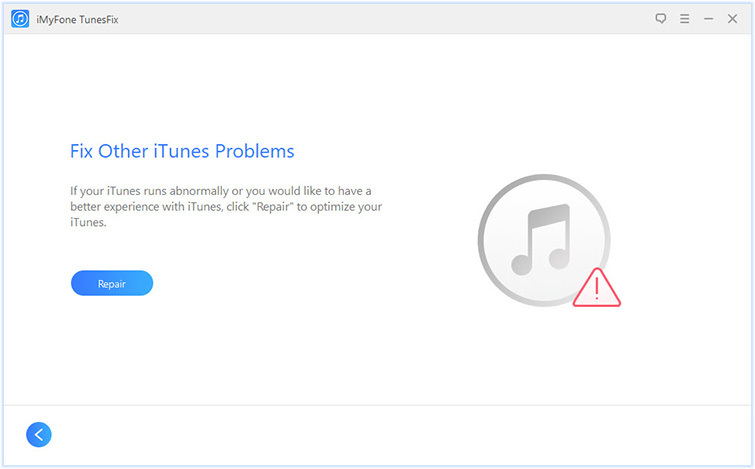 There may still be other reasons why iTunes is not working on your PC. However, we shall be looking at the best ways to fix this problem in the following paragraphs. The best way to fix “iTunes has stopped working” Windows 7 is by using iMyFone TunesFix. The reason for the above statement is that iMyFone TunesFix has served many iTunes and Windows users as the primary solution for all iTunes errors and issues. Repair any iTunes issue without losing your iTunes files and data. Fix over 100 iTunes errors such as install, connect, restore, backup, and other errors. 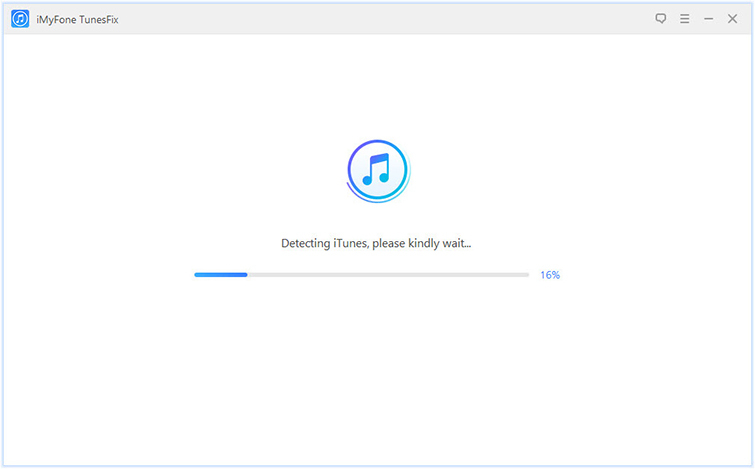 Remove iTunes media files, iOS update files, old backups, caches, cookies, logs, junks, etc. from iTunes and PC. Deep Clean feature to clear iTunes data and hidden backups made by 3rd-party software. Clear iTunes junk files to free up and boost your iTunes and PC performance. 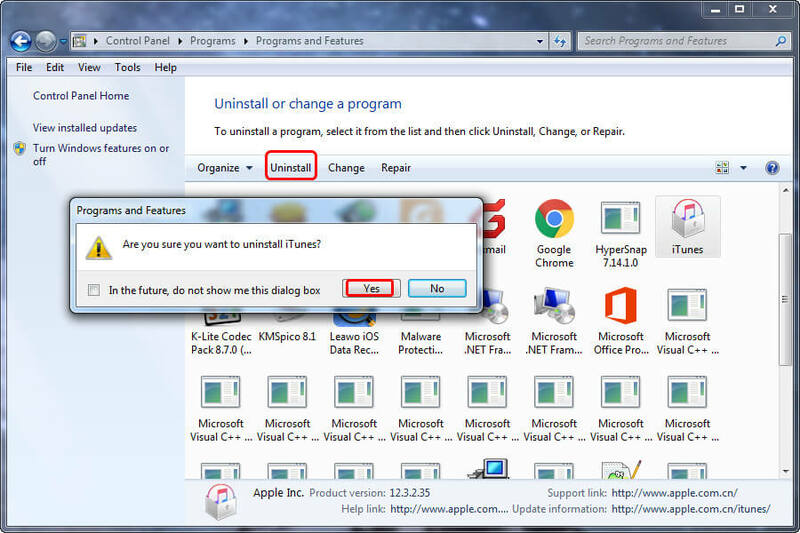 Step 1: Launch iMyFone TunesFix on your PC and it will auto detect your iTunes. If your iTunes is error-free, you’ll be redirected to the Home interface. 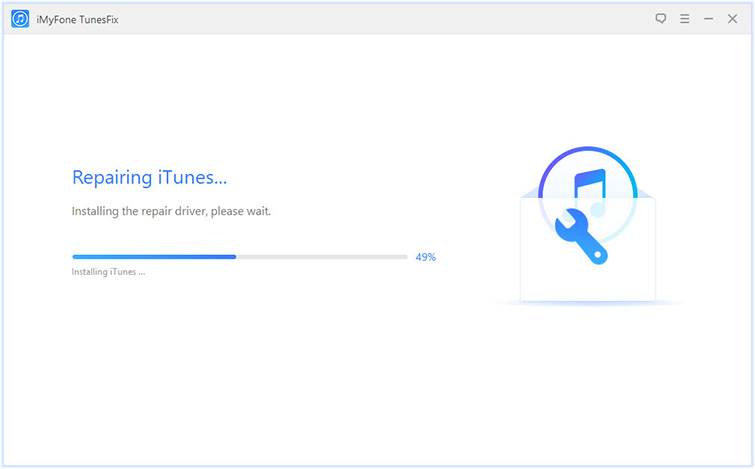 Step 2: Choose a repair mode (in this case, you have to choose “Fix Other iTunes Problems”). Step 3: Click “Repair” and ensure you keep your internet stable. The following solutions are second to the TunesFix, but they can still be used to solve this type of iTunes error. There are two know ways you can run an application on Windows 7 PC, the first one is by double-clicking the application, while the second is by running the program in safe mode. Safe mode simply means isolating iTunes software from every interference that can be caused by plugins or third-party scripts. Step 1: Hold down the Shift + Ctrl keys instantaneously, and then double-click on iTunes icon. 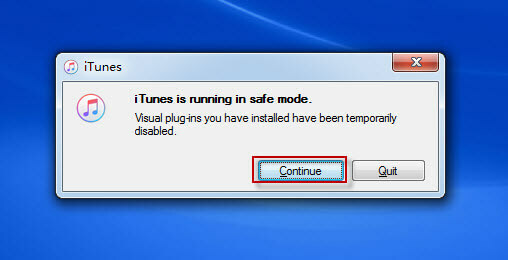 Step 2: A notification with the instruction “iTunes is running in safe mode” will appear. Click “Continue” tab to start iTunes in safe mode. 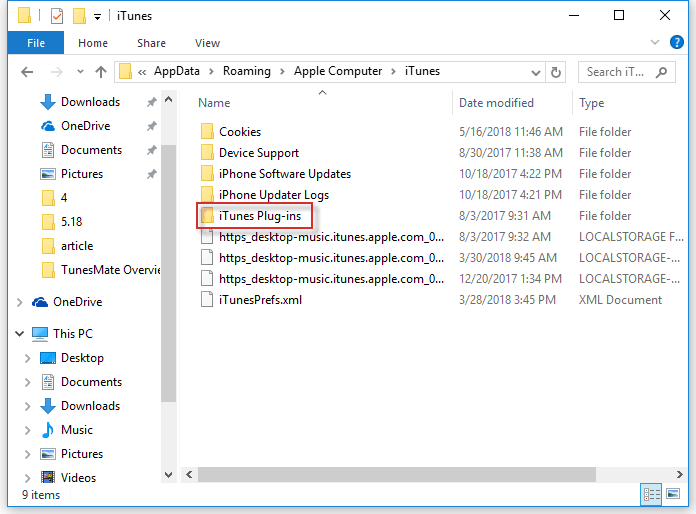 Third party add-ons, plug-ins and scripts that were not developed by Apple Inc. can interfere with the performance of iTunes software on Windows 7/8/10 PC. You can remove third-party plug-ins, add-ons, and scripts from iTunes by following these steps. Step 1: Hold down the Windows key on your Keyboard and press “E” to open File Explorer or Windows Explorer. Step 2: Click ‘This PC” or “My Computer”. Step 3: Navigate to the following locations: C:\Users\username\App Data\Roaming\Apple Computer\iTunes\iTunes Plug-ins and C:\Program Files\iTunes\Plug-ins. Step 4: Move the plug-ins to a different location like a desktop. Step 5: Run iTunes again. Sometimes, working only on iTunes in the face of “iTunes stopped working” Windows 7 error is not very successful. It’s good to search for solutions beyond iTunes and include its software components. Uninstalling and reinstalling these iTunes software components would help to solve the problem. Step 1: Hold down the Window key on the Keyboard and press “R”. Step 2: Type “appwiz.cpl” and press the Enter key to open “Program and Features”. Step 3: Navigate to iTunes, right click on it, and then choose “Uninstall”. Step 6: Launch your browser, go to Apple website, download and install iTunes. Step 7: Test iTunes on your Windows 7/8/10 PC.